Look C have been developing social media strategies and managing platforms since 2012. We also have a video production team who help to boost you presence on the second largest search engine YouTube. To view some of our video clips visit out video page. Georgia who trains for 24/7 Biggleswade Networking at a bi-weekly meeting was honoured to receive runner up "Best Networking Group in Bedfordshire" as part of 24/7 Biggleswade Networking Group. 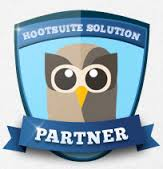 We have been using the services of Look C to manage our Social Media for over 18 months. Georgia has been very patient, professional and personable. She’s talked us through the basics, given us an insight into the possibilities and guided us towards making Social Media an integral part of our overall marketing mix. Now we keep up with trends. All outlets are updated regularly with appropriate content and she is now able to be proactive in the business, spotting opportunities to increase our visibility. However a smiling, understanding face isn’t significantly important if nothing happens to our outcomes and I’m pleased to report that Georgia’s efforts have led to a doubling of web traffic to our sites since our social media campaign started with an increase in sales of almost 50%. Nothing else has changed in our marketing mix. – it’s all Georgia’s fault! FSB awards 2014 Look C's Georgia O'Keefe attended Bedfordshire FSB Awards 2014 Winning - "Young Business Person of the Year 2014, Real Life Entrepreneur 2014 & FSB County Overall Winner 2014 ". 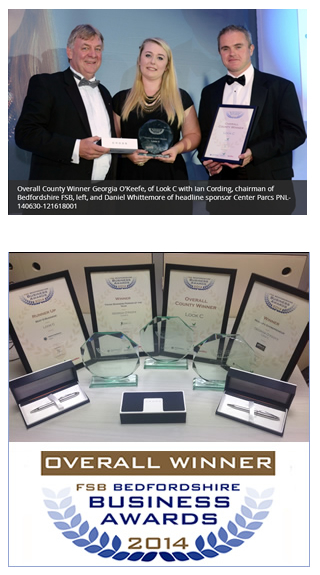 Georgia is so honoured to have won these awards especially as she won "Young Business Person of the Year 2013". 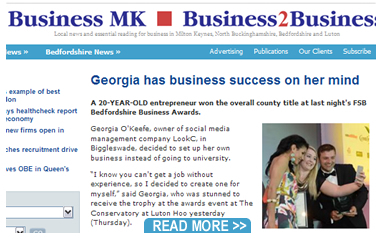 Georgia is so proud to be associated with the FSB, Bedfordshire. 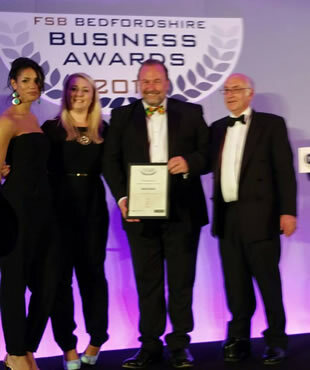 LookC also were honoured in becoming a finalist in the Bedfordshire Business Excellence Awards in 2013 under the category "Best New Business". "We don't just manage your social media platforms, we get to know you"